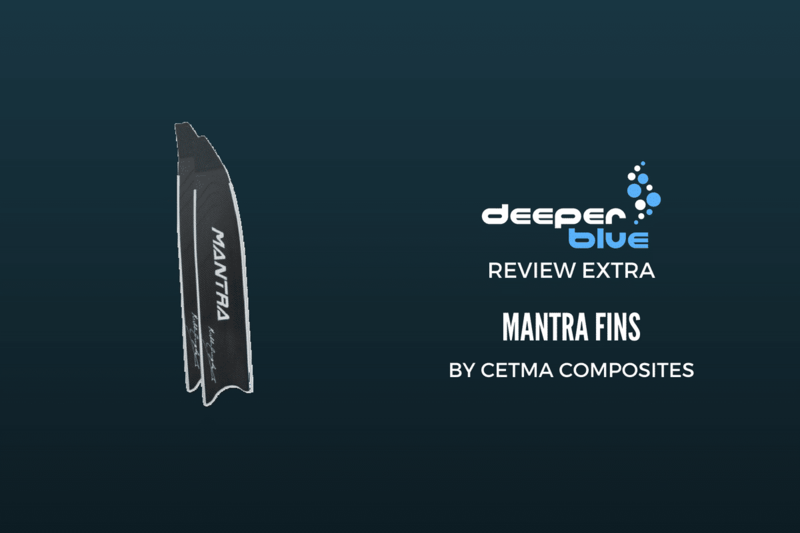 Cetma Composites released two types of Mantra fins: the original Mantra, which can be used for freediving and spearfishing, and the Mantra CWT Competition, which is designed specifically for freediving. They are both made from 100% IM7 carbon fiber and feature Cetma’s exclusive Dynamic Resonance System and a Finite Element Softwares design. While the Mantra comes with options regarding blade stiffness, the CWT Competition has a universal stiffness of Soft. The Mantra CWT Competition Fins come with Cetma’s S-WiNG foot pockets, which are designed to improve the performance of the blades, while the Mantra fins come with the choice of the S-WiNG, Pathos, or Mares foot pocket. The S-WiNG foot pockets are very comfortable; even when worn without socks, they do not cause painful blisters, hug your entire foot, and run true to size compared with standard shoe measurements. They also allow for a longer portion of the blade under the foot, which improves load transfer and efficiency. Philippine national record holder Dorina Doerr with her Cetma Composites Mantra CWT Competition fins. 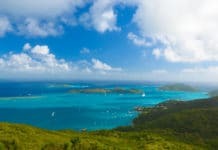 Photo by Ken Tsai. The fins are extremely lightweight, very flexible, and are especially responsive. When finning, the absence of strain on your leg muscles feels like you are barely moving, but in reality, you are covering the same distance you would with other fins, just with minimal effort. This is due to the Dynamic Resonance System, which, in simple terms, works to create less fatigue and higher propulsion. The blades are immediately responsive, and each kick generates high speed, without feeling any resistance. They are also so lightweight that you barely feel them on in the water, making finning and diving feel more natural. The angle of the blades is greater than most, 33 degrees for the Mantra and 27 degrees for the Mantra CWT Competition, which makes surface swimming easier and maximizes energy conversion, creating more efficient propulsion. The flexibility of the Cetma Composites Mantra CWT Competition fin. Negatives specifically applying to the Mantra CWT Competition fins would be the inability to choose stiffness, although you can easily switch to the standard Mantra and choose between Extra Soft, Soft, and Medium stiffness. 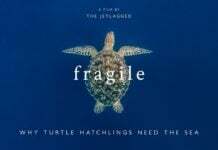 They are also both longer than most bi-fins, so you will need to buy a specific bag for transporting them. Since the Mantra and Mantra CWT Competition are so flexible, this inevitably means that they are especially fragile, even more so than other carbon fiber fins. Extra care needs to be taken when traveling with these fins. Flexibility also comes at another price: weakening water rails. Over time, the rails will develop weak spots in them and you will eventually, inevitably have to buy new ones and replace them. Fortunately, there are videos on YouTube showing how to remove them and how to apply new ones. They are also quite expensive, but with quality comes a higher price tag. Dorina Doerr enjoying her Cetma Composites Mantra CWT Competition fins. Photo by Yahia Barakah. 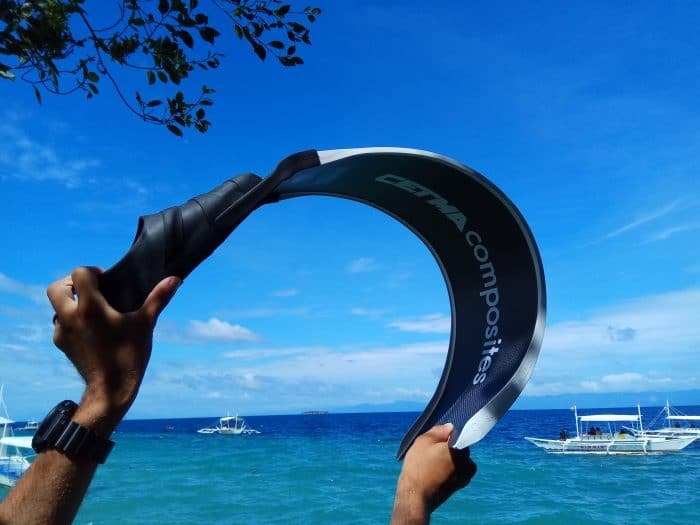 Cetma Composites Mantra fins are definitely one of the top freediving fins on the market. The extremely light weight, flexibility, and undeniable responsiveness of the fins easily outweigh their fragility, inevitably weaker water rails, and the need for a new freediving bag.